​SGAC's State Government Affairs Advanced Certificate Program has a key emphasis on active leadership, with interactive and engaging sessions. In order to participate, a SGAC member must have completed the Professional Certificate Program. To learn more about the Professional Certificate Program, click here. ​Graduates of the Advanced Certificate Program are awarded a plaque at SGAC's Annual Business Meeting. Graduates are also announced in the SGAC Annual Report and newsletter. The Advanced Certificate Program has three levels; Bronze, Silver, and Gold. Participation in each half day training session will merit credit being awarded in one of three competency areas. Hear from graduates of the Advanced Certificate Program. ​To take part in the Advanced Certificate Program, participants must have completed the Professional Certificate Program. Enrollees must also have three years experience in a policy or government affairs-related field or Masters/Ph.D. or J.D. How long does it take the average enrollee to complete the advanced certificate program? Completion depends on the pace you set for yourself. For most individuals, completion of the SGAC Advanced Certificate Program will take about three years. ​Advanced Certificate Program training opportunities are at SGAC's National Summit, NCSL's Legislative Summit, and SGAC's Leaders' Policy Conference. What if I change jobs while enrolled in the program? As long as your organization is a member of SGAC, you can continue to participate in the program. Please direct questions to SGAC at 571.312.3426 or any member of the SGAC team. 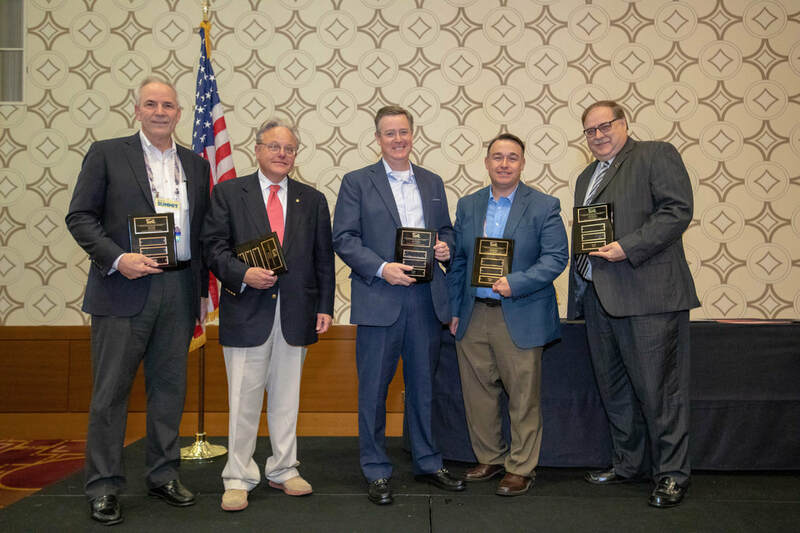 Graduates of the Advanced Certificate Program were recognized at the 2018 Member Business Meeting and Lunch.